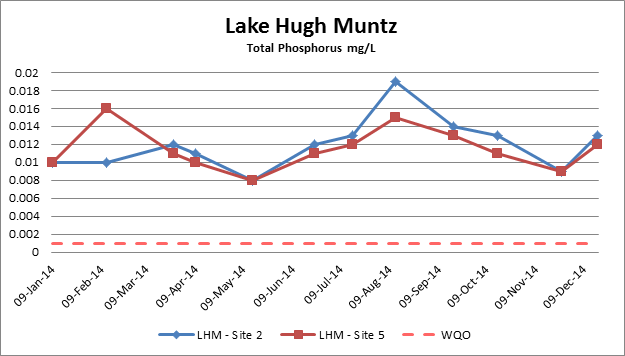 The latest water quality results unfortunately show record levels of nutrients, including Phosphorus and Nitrogen, particularly in the middle of the year. 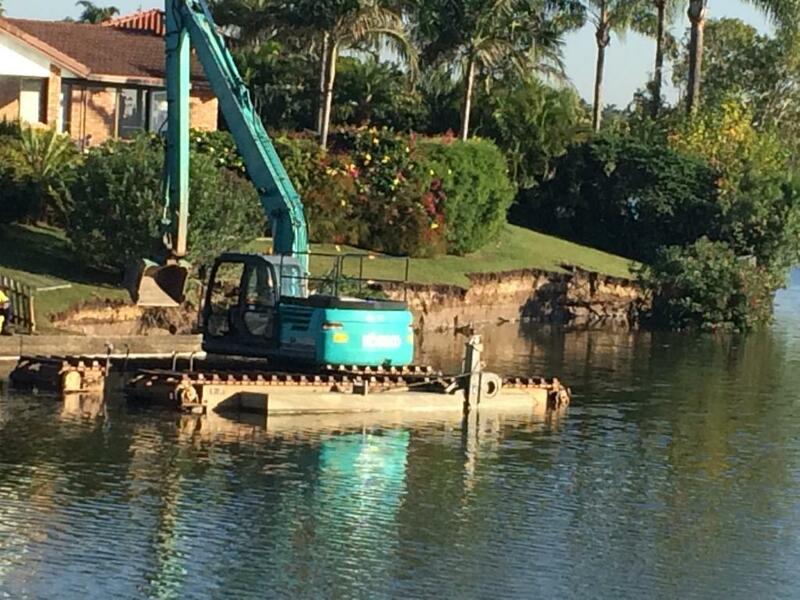 This increase coincided with the sand replenishment works that started in the middle of the year. Residents showed concern over the cleanliness of the sand used in the works. 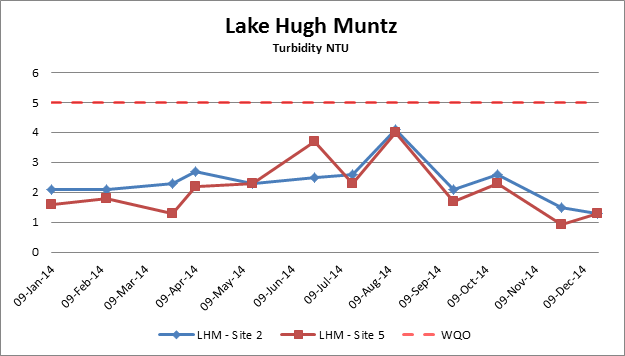 The disturbance of bottom sediments as well as the collapse of a retaining wall with subsequent testing of foreshore stability has added greatly to nutrients in the lake. 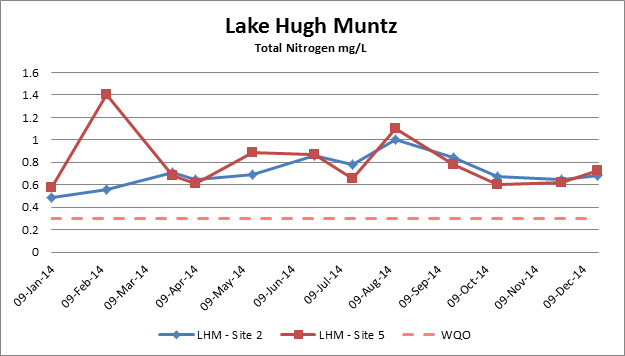 Fortunately nutrient levels have decreased toward the end of the year but still remain well above the Water Quality Objectives for a healthy lake. The results are disappointing as the care group were looking forward to some improvement in water quality as a result of the installation of litter baskets in all drains in March 2014. 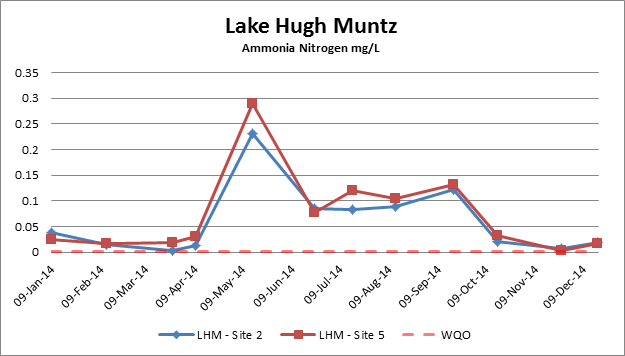 Hopefully the 2015 water quality results will show some positive results!